Thank you so much for visiting my site. I am so excited and honored that you have found me! No matter what has transpired in your life, please remember that you are loved and that you deserve to have great happiness and joy! You have a right to having "your dreams come true". We all have challenges that seem overwhelming from time to time. My hope is that you will find inspiration, enthusiasm, joy and peace while you are here. Come join me as we explore new and exciting ways to do just that. in this here & now moment, for helping me convey your unconditional love and light to all who read these words. May they be blessed beyond measure and may you guide them to exactly the RIGHT place at just the RIGHT time. May your infinite wisdom take hold in them, so that they realize how LOVED & CHERISHED they are, right here right now. Please bestow upon them your many blessings and may they open their arms and hearts to receive all the GOOD that is now showered upon them. And so it and WE are Grateful. Amen. 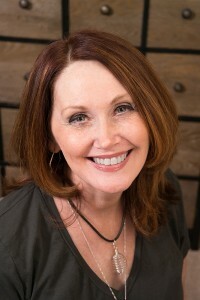 Donna Cook has been an Energy Healer for more than 20 years. She utilizes her unique talent to determine where energy blockages are located in her client's aura. She is then able to create a unique and personalized “plan of action” to address not only what her client “deems” most important but also the "underlying cause". During the initial session, the client will be asked several questions to determine the areas of concern that they wish to address first. Donna then gathers the necessary information she needs to develop their personalized "plan of action". Once completed, she follows up with the recommendations that she feels will release the blockages and help them move forward in that aspect of their lives. As a Certified Reiki & Assertiveness Coach, Ordained Minister and Spiritual Advisor, she utilizes all of her talents to help clients discover and awaken their true self. How do you cleanse a new space? What is the Order of the Melchizidek?